I was into so much stuff around this time. It was 1981 and I was 12, turning 13 at the end of the year. I loved Duran Duran and Associates, 2 Tone stuff, ABC, The Jam... it didn't really matter then. You didn't have to be part of any tribe. We had them, but we never called them mods or rockers or whatever. We had the Sweats - they were the heavy guys who used to sit in a circle and smoke dope on the school field. They liked Motörhead and they all stank of patchouli oil. But they were all very friendly. Then there the Smoothies - they were more like mods really. Very tidy and neat, with these wedge haircuts. But I could never really do that. I could be one thing one day, and something else the next. I liked 'Ace Of Spades' at the same time as liking 'Planet Earth'. It was all the same thing. 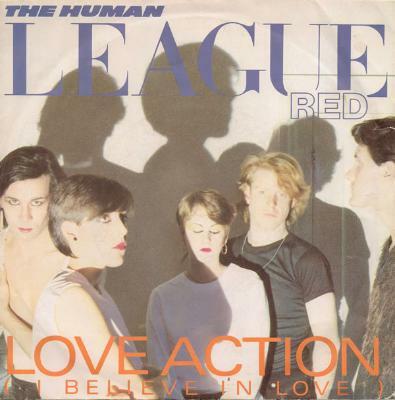 I remember being in class and we were all talking about 'Love Action', and singing the middle bit - "I believe, I believe what the old man says...", which I thought was profoundly wise at the time. It's still pretty good. I like the line, "I believe in truth/ Though I lie a lot." The noises in the intro really intrigued me. And for a while I did put the air guitar down and get my mum's ironing board out and play the synths on that. The music's quite cold - it's quite a cold groove for a love song. And it is a love song. His voice is kind of warm, but he's got such authority - you believe everything he's singing. At the end of that year, when Dare came out, everybody had it. It was great.